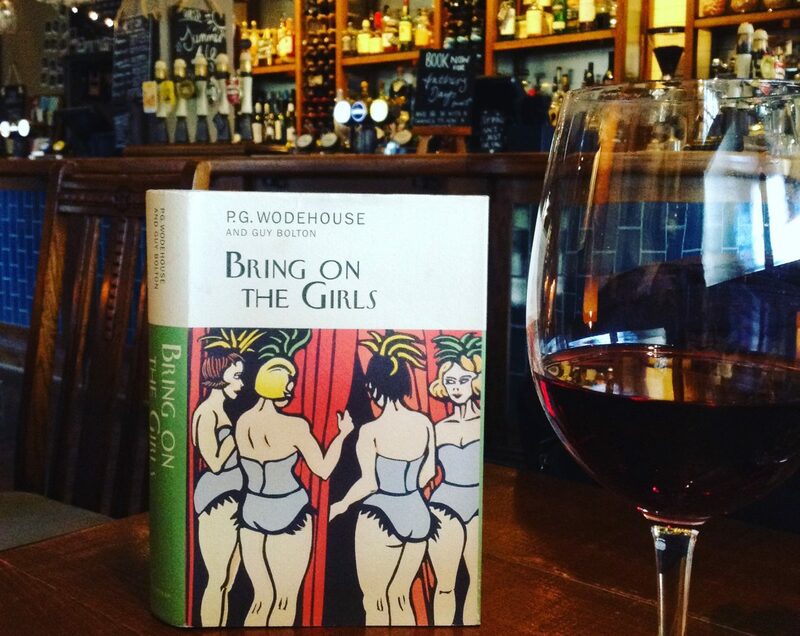 On 28 January, the British Library celebrated their recent acquisition of the Wodehouse archives with P.G. Wodehouse: A musical celebration. As the title suggests, the event celebrated Wodehouse’s lesser known but important contribution as a musical theatre lyricist, working in collaboration with Guy Bolton, Jerome Kern and others (including George and Ira Gershwin). I felt privileged to be among those present as singer Hal Cazalet and actress Lara Cazalet (Wodehouse’s great grandchildren) and pianist Stephen Higgins performed songs from the Wodehouse songbook, including: ‘Put Me in My Little Cell’, ‘You Never Knew About Me’, ‘The Enchanted Train’, ‘Oh Gee Oh Joy’, ‘Bill’, and ‘Anything Goes’. Hal Cazalet also provided a rapt audience with some professional insights into his grandfather’s methods as a lyricist, and his influence on later developments in musical theatre. Hal put forward a convincing argument that Wodehouse’s work as a lyricist not only influenced, but improved Wodehouse’s writing. A highlight of the day was listening to Sir Edward Cazalet, one of the few people living today who knew ‘Plum’ and Ethel Wodehouse well. Edward’s reminiscences about his grandfather were affectionate and deeply moving – and fans will be touched to learn that Edward still has the pencil his grandfather was holding when he died. The proceedings were further enhanced by observations from assembled experts, including Wodehouse’s biographer Robert McCrum (Wodehouse: A Life), Sophie Ratcliffe (who edited PG Wodehouse: A Life in Letters) and Tony Ring, whose extensive research and numerous works on Wodehouse include the multi-volume Wodehouse Concordances. After the formal proceedings, came the infinite pleasures of meeting other Wodehouse lovers – both old friends and new ones. It was wonderful to meet members of the Dutch P.G. Wodehouse Society, who had travelled to London especially for the event, online friends from the Facebook Fans of P.G. Wodehouse group, U.K. Society members, and even a few celebrities. A socially inclined gaggle of us, reluctant for the festivities to end, moved on to a local hostelry where the feast of reason and flow of soul continued long into a splendid Winter evening. Oh how wonderful! Did we meet? If not… perhaps next time. No we didn’t – next time! You must have seen me. I filled my seat in the certain knowledge that they’re wearing them tight about the hips this season. 😀 I’m right on trend then!